There are two kinds of mom out there: the stay-at-home, cook babyfood, read bedtime stories type of mom and the try-as-hard-as-I-can to maintain my pre-baby life (I'm the latter). So at the first sight of spring weather, I pushed my baby in his Quinny bassinette to the core downtown shopping area. I figure I can kill two birds with one stone, get back into shape and check out the spring collections at my favorite stores! Two hours of shopping, browsing and contemplating later, I resisted to buy any clothing/shoes/accessories (it was really hard at Zara - everything from this season is sooooo nice!) until I get back from my trip. 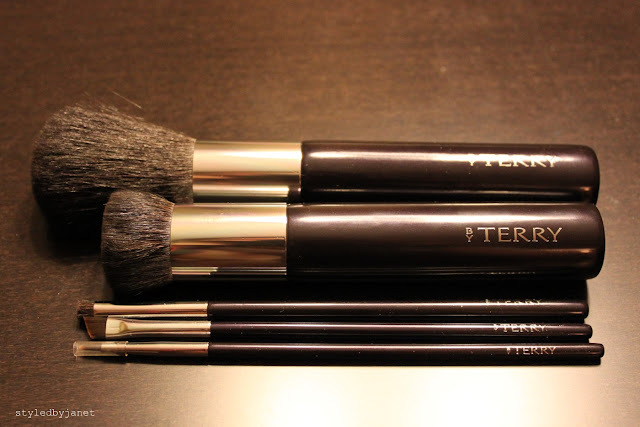 At my last stop, Winners, I was over-the-moon when I saw a complete shelf of by Terry products!!! For those who are not familiar with this French luxury cosmetic brand, creator/makeup artist Terry de Gunzburg is also the woman behing YSL's Touche Eclat. 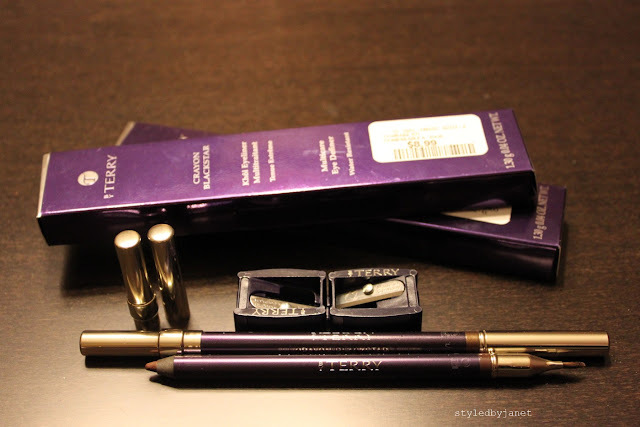 By Terry is most famous for Baume de Rose and Eclat de Teint . Back to my bargain finds, I picked up two Blackstar liners for $8.99 instead of $34!!! And the makeup brushes were all $8.99-29.99 instead od $34-151!!! Thats like 75% off! Foundation and blush were very tempting too but I was worried about getting the right colour since there's no testers. Hurry before they're all gone!